The Town of Banff in Alberta is one of only two incorporated municipalities in a Canadian national park. Located in the heart of the Canadian Rockies, in Banff National Park, the Town of Banff attracts millions of visitors each year. The Town of Banff needed a simplified and linked approach to their capital and operating budgets. The Questica Budget now provides the Town of Banff with a solid foundation with which to build their budgets, and transfers the budget ownership from finance to department managers, providing them with better control over their dollars. The Town of Banff has a staff of approximately 20 employees involved in capital budgeting, mostly project managers. The operating budget requires input from nine managers, and approximately ten department staff. The budget process for both capital and operating begins in late August, with final budget approval typically occurring around mid-December. The capital budget process was carried out using Excel, where detailed project sheets were kept for each project. These sheets were also linked to a reserve analysis spreadsheet, which measured the effects certain projects had on various reserves. The sheets would then be sent to managers to be updated and new projects entered, then sent back to Finance to be consolidated into the master spreadsheet. The operating budget process began with Finance exporting historical financial and budget information from Microsoft FRx, into Excel. Individual spreadsheets were sent out to division managers, and once they had entered their budgets in (either in hard copy or electronically), they were sent back to Finance to combine into one master spreadsheet, which was uploaded to Dynamics GP. Given the level of involvement required by the Finance department during this process, it was very difficult for managers to understand their own budgets and to maintain control over them. A solution was needed to address this problem. The challenges and limitations of their Excel based capital budgeting process was the motivator to find an alternative solution. The Town of Banff was introduced to the Questica Budget solution, at a municipal conference. After speaking with a Questica representative, Banff realized that their budgeting challenges could be addressed through Questica Budget’s consolidated application. In addition, Questica Budget Operating could help them improve their process and gain better control over their operating budget. 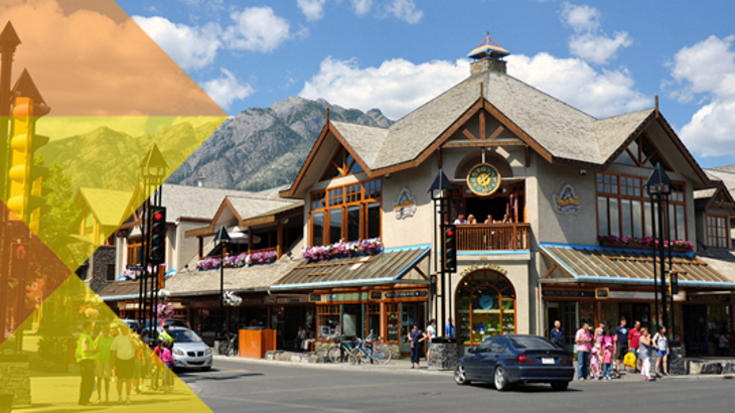 Questica Budget easily fit into the Town of Banff’s existing software environment and provided them with the features and capabilities they required. Questica Budget provides that critical link between financial data and supporting documentation. With 20-25 people involved in the budgeting process, it is imperative that the communication component of the new system be thorough. With Questica Budget, supporting documents, emails, and other data key to budget decisions can be attached, enabling all involved to understand why certain financial decisions had been made. This enables new managers to have a clearer picture when creating budgets, and saves time in tracking down documents and people involved in previous budgets. The Excel approach to budgeting limits the amount of information that can be entered against an account. Questica Budget provides the ability to enter multiple line items and more detailed information for each account. It captures all data and summarizes it via roll-ups. This is a very user-friendly approach for non-financial staff. Questica Budget provides managers with full access and control over the day-to-day management of their budgets. This ownership enables them to make changes to their budgets in a timely manner and allows them to understand the impact of their budgets in a very real way. Questica Budget enables managers to set permissions on who can make changes to their budget at each stage of the budgeting process. In addition, Questica Budget allows managers to view a record of all changes made, by whom they were made, and when they were made using our Logging feature. Questica Budget’s system allows managers to roll forward previous year’s budgets and make changes to them as required. Multiple versions of the same budget can be created, and once a version has been chosen, it can be promoted for approval. The Finance department is now seeing a savings of 40 hours as they are no longer required to set up new spreadsheets for each department and each budget cycle. The process of budget approval by council, which previously required one and a half months of back and forth to rework the budgets, now only requires the demotion back to managers. Once changes are made, they are promoted again, and ready immediately for approval. Thanks to more efficient budgeting, Banff is brilliant.